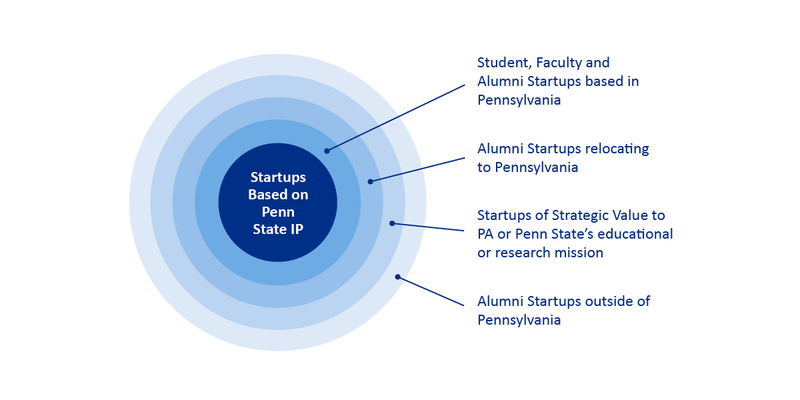 To identify, mentor and fund high quality start-ups with roots in the Penn State University system and ensure their success to the benefit of our investors, the start-up teams and the community. While the Fund has strong ties to the Penn State community – local and global – 1855 Capital is a privately owned and operated company and is not directly affiliated with the Penn State University. We are privileged to include Penn State University among our limited partners but all investment and operational decisions remain at the discretion of the fund’s General Partner, 1855 Capital Partners. 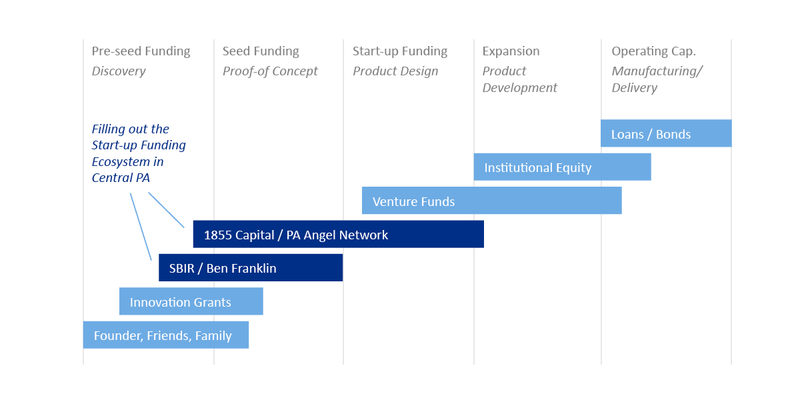 The 1855 Capital Fund is a $10 million fund that provides seed and early stage venture capital to Penn State affiliated startups. We focus on companies with roots in the Penn State’s world-class research and educational environment. Individual investment size will typically range from $100K to $500K. We will develop investment opportunities by actively engaging with current faculty, staff and students as well as Penn State’s vast (and powerful) alumni network. In the end, we look for exceptional ideas combined with a capable and committed management team. By identifying significant commercialization opportunities early in their development cycle, we can leverage the broad expertise of our limited partner pool to grow those efforts into high quality investment opportunities. Our fund reflects our university – a Tier 1 research university with broad reach and a wide array of innovations under development. Along with other Pennsylvania-based sources, we fill a significant gap in the funding ecosystem. From an investment perspective, this puts us at the forefront of of Penn State-related opportunities. To build broad-based support for Penn State affiliated startups, we will start with Penn State, the business community, and existing funding resources. Then, we’ll activate the alumni network for everything from investment dollars to mentorship to deal flow. Our offices are located in State College, PA, which allows us to stay closely connected to University Park’s innovation ecosystem as well as the research and start-up activity across Penn State’s 19 Commonwealth Campuses. We expect that a many of our investments will emerge from the central Pennsylvania region, especially from transformative research at Penn State’s University Park campus and significant human health and treatment breakthroughs from Penn State Milton S. Hershey Medical Center. All these areas are underserved by capital sources from Philadelphia, Pittsburgh and Lehigh Valley and can especially benefit from our close working relationship with Ben Franklin Technology Partners of Central Pennsylvania. Have an identifiable core technological competency. Have a business model and management team that are both scalable. Have a well-articulated business plan that delivers a value-increasing milestone on $100K to $500K investment. Have quality cross-functional teams who agile and committed to long-term success. Though we expect to be early or even the first equity investors in a team, we are interested in being a co-investor with other early stage venture funds.